Glue up complete on the second nightstand. Finally the weather is warm enough for long enough to get some time in the shop. 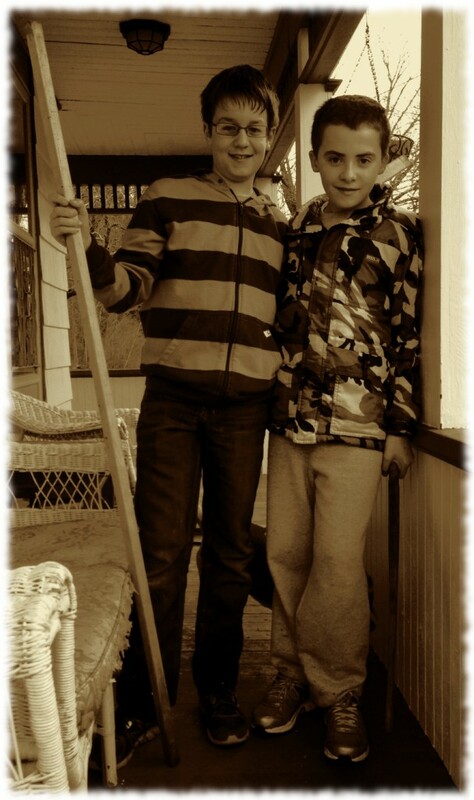 The boys didn’t have school today, so I took a day off of work. 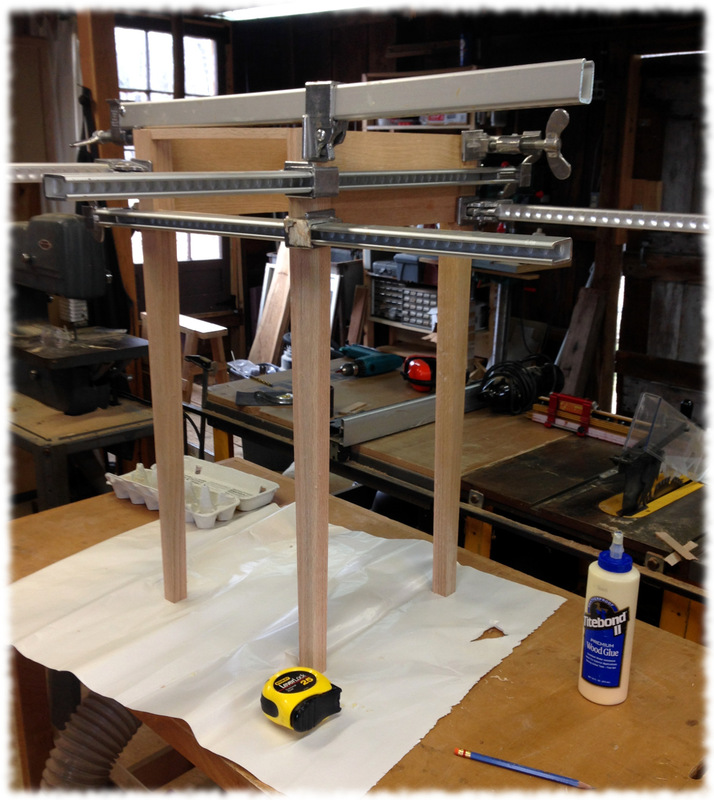 This afternoon I cut the remaining tenons and glued up the second nightstand. The first nightstand is in the loft above the workshop waiting for a finish. I figure I’ll apply the finish for both of them at the same time. Next I will finish milling the pieces for the top and glue up the top. I also have to install a pair of cleats on the inside of the side aprons to attach the top and a pair to act as slides for the drawer. After the table is assembled I will need to construct and fit the drawer. Hopefully I can make progress this week and next weekend on the remaining steps. The rain mostly stopped. The temperature outside is in the 50s. It almost feels like spring. I think the whole family is enjoying the warmer weather and being able to be outside. It is good to see the everyone enjoying the day. 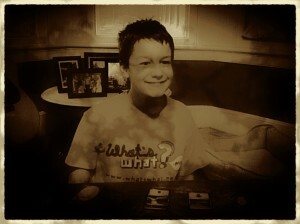 Ben is over at a friend’s house this afternoon (I’m assuming he is having fun – he always does). Will has a friend over and they are having fun, though I’m pretty sure they got their shoes soaking wet trying to explore the stream/river in the back yard. Susanna is starting a puzzle after working on lesson plans for next week for most of the afternoon. 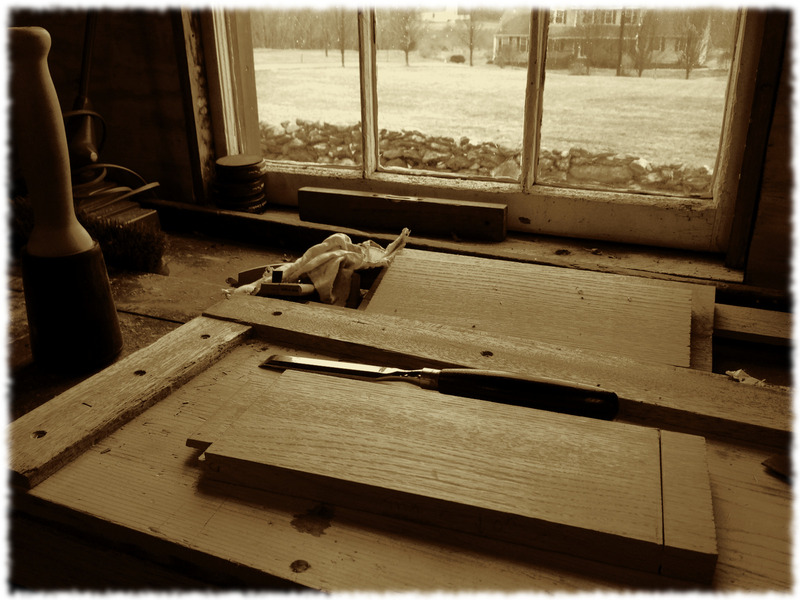 The dogs can finally spend most of the day outside, and I can time in the workshop (without having to blast the heater). 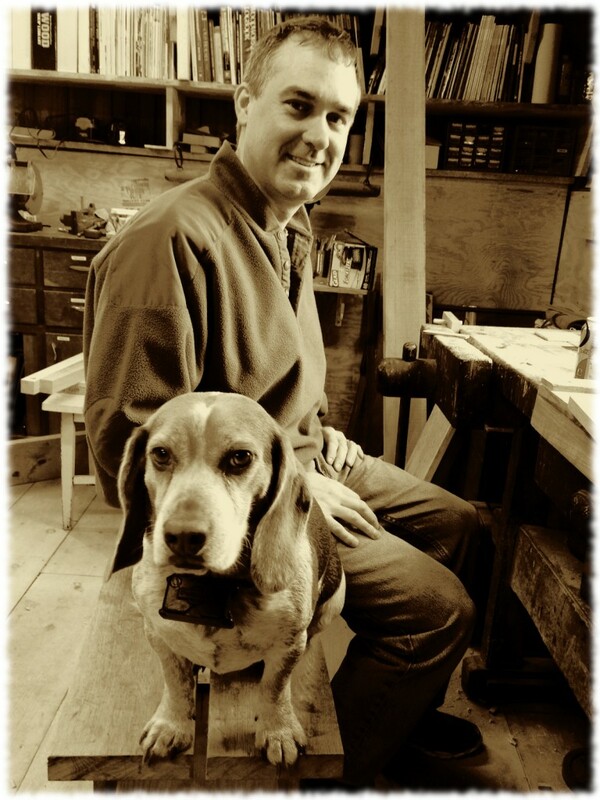 Tucker helping me in the workshop. Photo by Susanna. Will and Shane taking a break from playing to let me take a picture. Progress on the second nightstand. Light meals on the submarine. The supply officer hadn’t ordered enough food for the entire underway, so the meals were rationed. The supply officer wasn’t happy. The XO kept telling him to think of it as a grand adventure, like Shackleton’s trip to the north pole. I don’t think that helped. There was no creamer for the coffee when I arrived, and they ran out of ketchup before I left. However, there was lots of pudding for dessert. Great meals at the ice camp. Washing the dishes at the ice camp for my first dinner there. Teaching the Air Force Colonel that was with Lt. Gen. Handy (Commander Alaska Command – visiting the camp for two days) to play cribbage. And then losing to him. I mean. The Air Force. And new at the game. At least he didn’t skunk me. The Army Lt. Col. that was with the general telling the submarine crew that he couldn’t spend the night onboard because his wife forbid him to get underway on the submarine. The three-star general standing on the ice for over three hours to just watch the submarine surface without a warming hut. Did I mention he was a three-star? The outside “urinal” boxes at the edge of camp. Cold during the day. Even colder at night. With a threat of polar bears. It made one think twice if you could get back to sleep or really needed to pee. 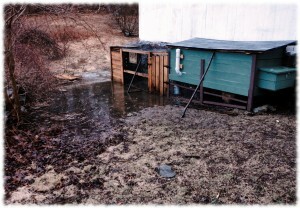 Unheated outhouses. But not for peeing. 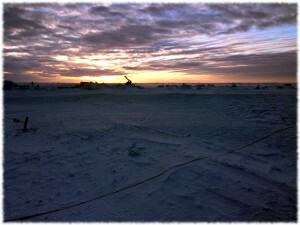 Prudhoe Bay. No alcohol. No restaurants. Nothing to do but try to leave. Will calling me at 3 in the morning. It was 7 here and he was just calling me back. No showers at the ice camp. The totally cool hole in the ice in the command hut. The team melted the hole when they set up the camp. 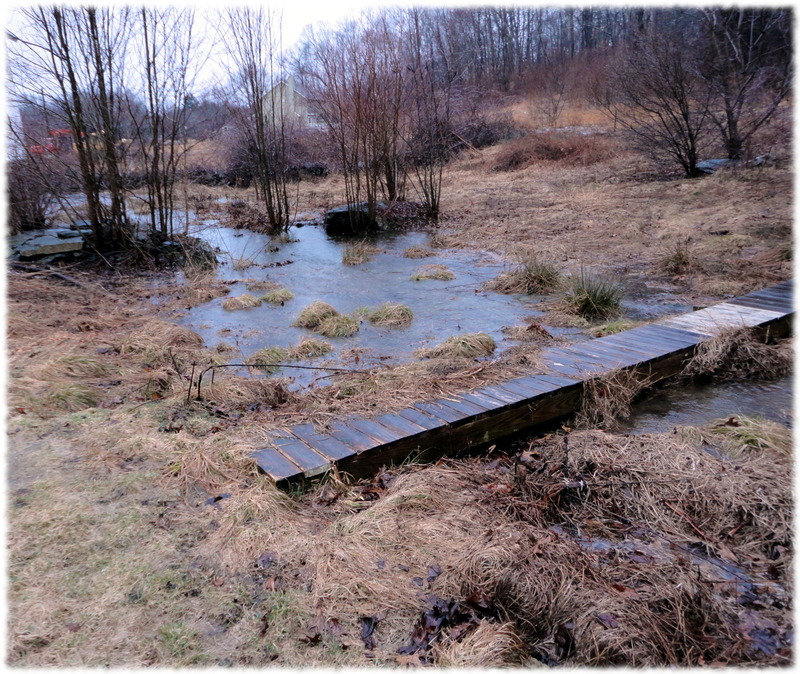 The water beneath the camp was 2 miles deep. I was going to bring water back from the camp, but I forgot. I was more focused on trying to get to Anchorage and not have to spend the night in Prudhoe Bay. Did I mention there was no alcohol at Prudhoe Bay. Falling off the sled behind the snowmobile on the ride from the airplane to the camp. It was an amusing start to my trip there. At least the chief on the back of the snowmobile thought so. Not seeing any polar bears. But always wondering when taking a leak at night if that white blur in the distance (in the dark) had been there earlier in the day. I’m sure I didn’t nearly cover it all…. but enough for the night. NORFOLK (NNS) — Commander, Submarine Forces (COMSUBFOR) announced an early end to Ice Camp Nautilus on March 23. 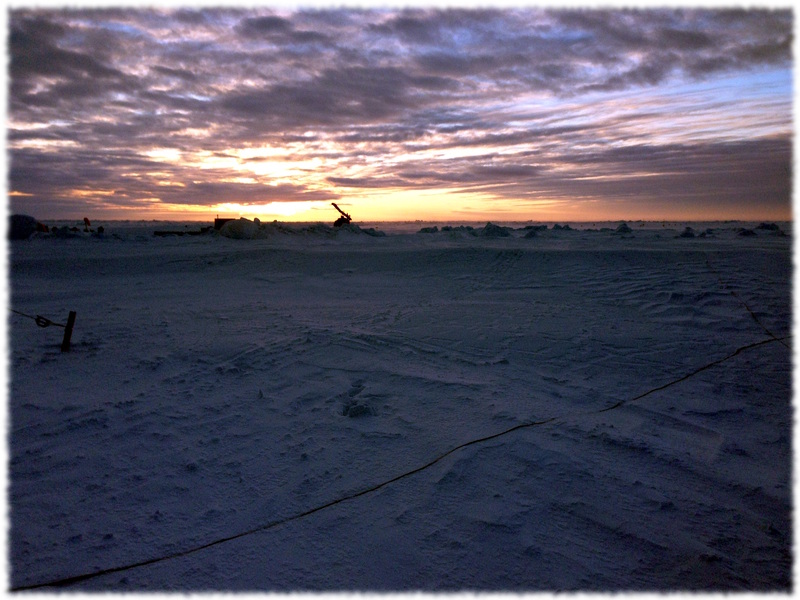 The ice camp was a temporary structure built and operated especially for Ice Exercise 2014 (ICEX-2014). Personnel at Ice Camp Nautilus, which is built into the ice floe north of Prudhoe Bay, Alaska, began a careful breakdown of the camp Sunday. The Virginia-class attack submarine USS New Mexico (SSN 779) and the Los Angeles-class attack submarine USS Hampton (SSN 767) will continue to gather data and conduct ice-related exercises until they transit out from under the ice. 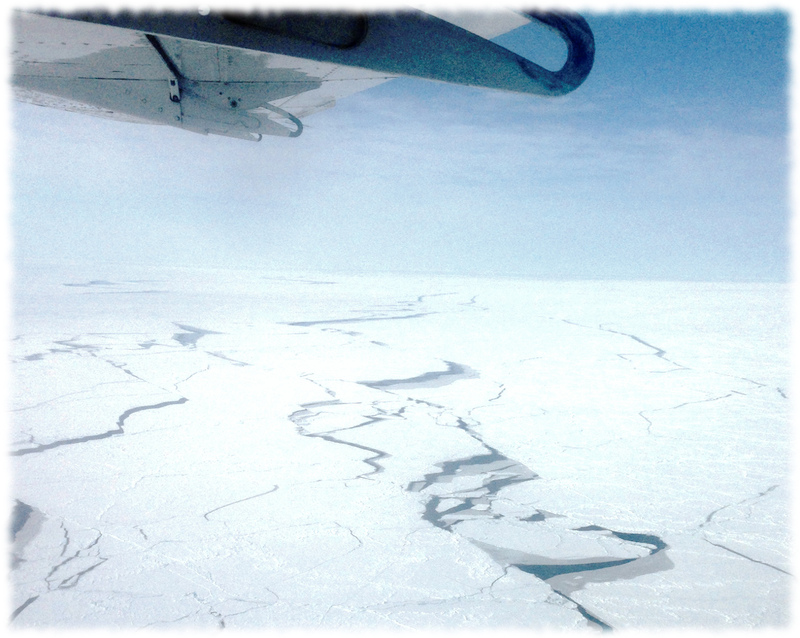 Last weekend I flew to Anchorage, Alaska and then to Prudhoe Bay, Alaska. From Prudhoe Bay we got on a small plane and flew about 150 miles north and landed on the ice. I spent the night on the camp. 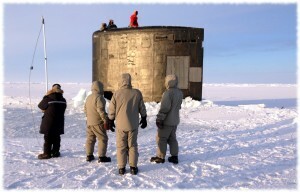 From the ice camp, I boarded a helicopter to fly out to meet the submarine for what was supposed to be a 10 day underway. Ready to board the flight to the ice camp. Cold weather gear and survival kits were required for the flight. 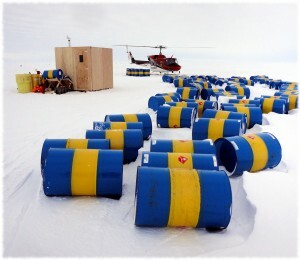 Very Swedish looking fuel drums. The helicopter is in the background. 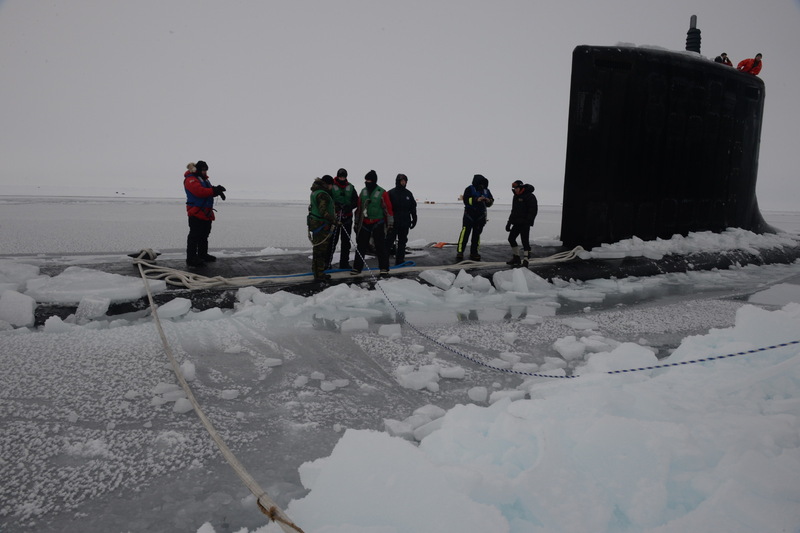 Waiting for the hatch to be cleared of ice before embarking the submarine for testing under the ice. It is fun to go back and look at what I have written over the past couple of years. It is nice to see that my posts have gotten no more interesting nor have they stopped jumping around on random topics. But that is ADHD for you. Even though I can’t focus on writing on just one or two topics, I have been able to keep posting in the blog. Even if only one or two people actually read it. Over the next three years, I will try to write another 100,000 words. I’ll try to post more pictures. I’ll continue to not try to focus on writing on one subject. That would be too boring anyway. The new feeder before installing into the coop. 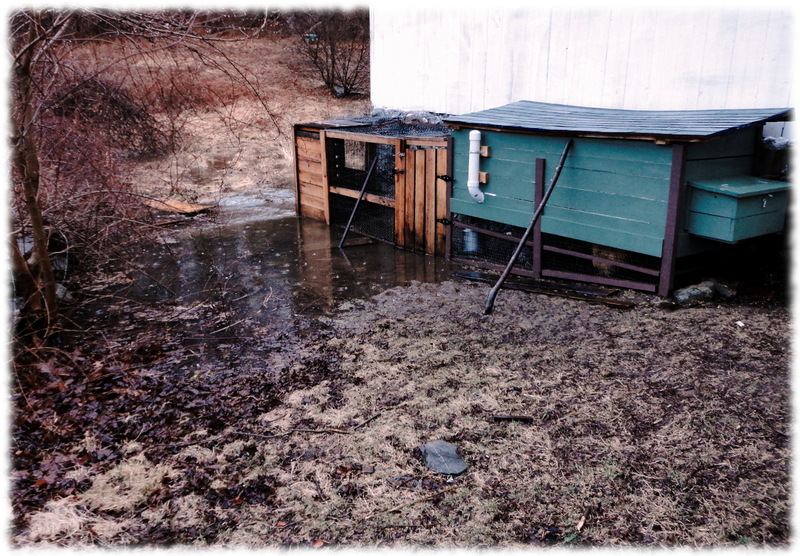 I’m mostly happy with the chicken coop I built last summer. The biggest problem is that I made the entire top a single hinged lid. It is heavy. With 6″ of snow on top of it is really really heavy. The feeder for the chickens is inside the coop and requires that I lift the lid every week to refill the feed. One option would be to saw the roof in half, and have a left and right side that are easier to lift individually. Or I cold build a new feeder that can be refilled from the outside. Susanna voted for the second one. She doesn’t like the chickens, and would appreciate being able to care for them without having to hang out with them in the coop. 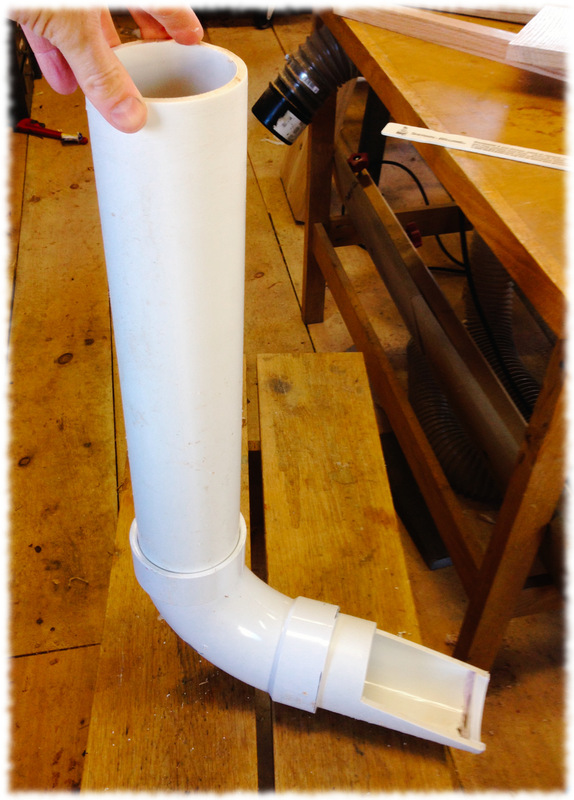 Today I went to the box store and for less than $20 I picked up 3″ piping and connectors to make a new feeder. 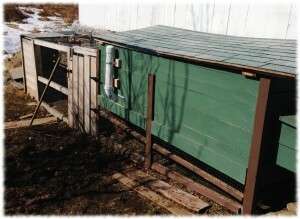 It is a simple feeder, with a tube to hold the feed on the outside of the coop and a tray in the coop. Even though you can’t easily tell in the pictures, the tray does have an end – the feeder doesn’t just dump the feed into the coop. I installed and filled the feeder today. Hopefully the birds won’t stand on it and poop in their own food. But they probably will. Overall, this was a quick easy project. It may have worked better with 4″ piping (it would have held a lot more food – almost twice as much). Or maybe I could have used a longer section of piping to hold more food. Coop with the new feeder installed. I probably should paint the feeder to match the rest of the coop. Maybe later this spring. Today was the final for Melodifestivalen 2014 – Sweden’s music competition for the 2014 Eurovision Song Contest. Susanna is a huge fan of the contest. The time zone difference means that it is a 2pm show local time. 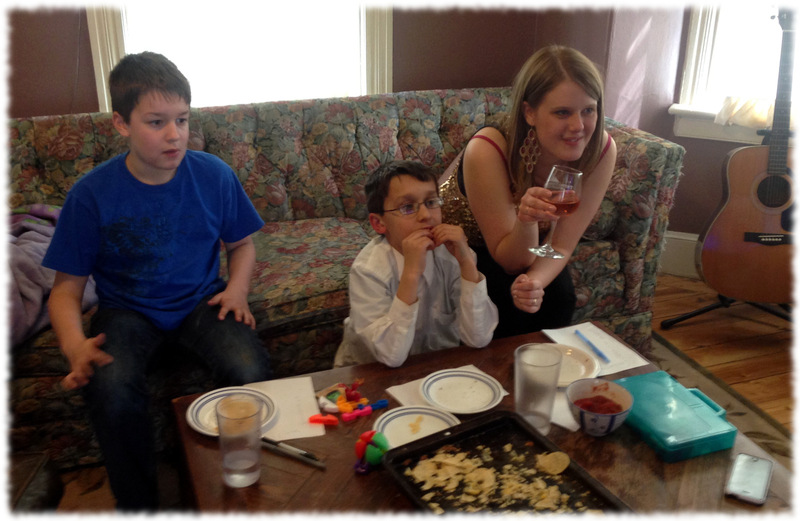 We pushed the streaming video to the house TV and the whole family watched. Susanna and Ben both dressed up for the show. Will, Targa, Tucker and I didn’t so much. But we all enjoyed the concert. It helped that the songs we liked did well in the end.